MSI Announces Founding Membership in Certified EO - Miklos Systems, Inc.
Miklos Systems, Inc. originally became employee-owned in 2006 when their founder, Elizabeth “Betsie” Miklos, wanted to begin to retire but wanted to ensure that the company and the culture she had founded thirteen years earlier would continue. She saw employee ownership as good for the employees, the customers, and the company’s bottom line. In 2015 Ms. Miklos sold the remaining shares of her stock back to the company so that MSI could become 100% Employee-Owned. Employee-owned companies are a secret driver in the American economy. 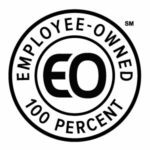 Today there are over 6,000 employee-owned companies with a combined revenue of over $200 billion and employment of nearly 2 million employee-owners. Employee-owned companies strengthen communities, foster a financially savvy workforce, build wealth for their employees, and increase the resiliency of the economy during recessions. Despite these major benefits, many Americans don’t know that employee-owned companies are so common and so successful. To learn more about Certified EO, visit https://www.certifiedeo.com.